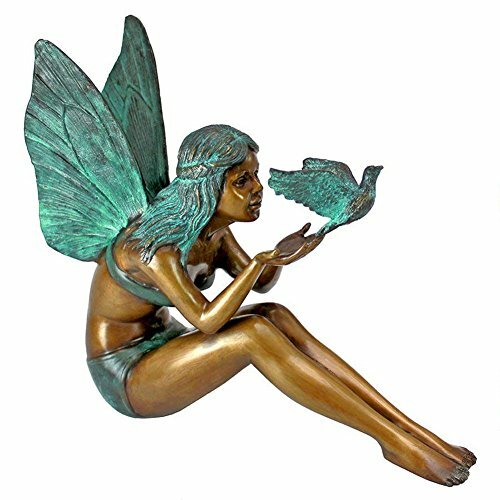 Gorgeous Fairy Figurines and Fairy Decor for a Magical Home! 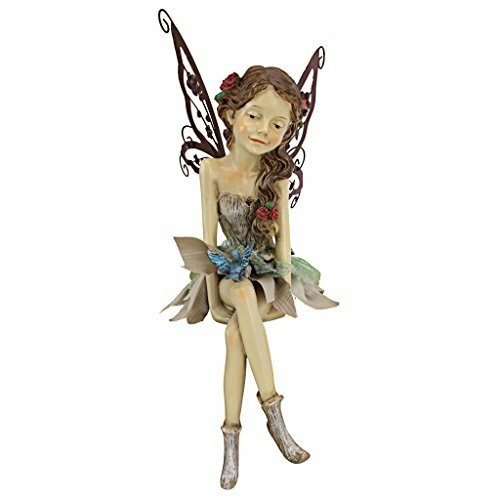 Gorgeous Fairy Figurines and Fairy Decor for a Magical Home and Garden! They are truly magical beings and they absolutely LOVE gardens, of course! I have always LOVED fairies! I am always looking for ‘fairy stuff’ online and you won’t believe what I found today! 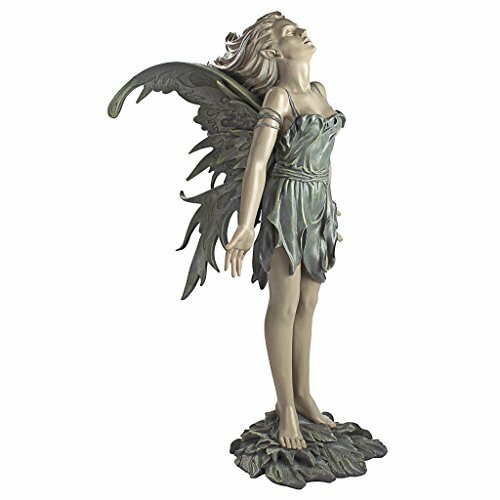 Yes, the most beautiful fairy figurines for sale and fairy decorations for your home! 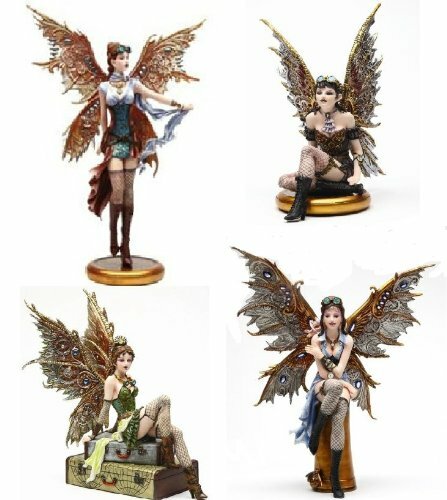 *Just like this Steampunk fairy set! Can you imagine having fairies all over your living-room and bedroom? How about adding a couple of magical garden fairies to your garden as well? 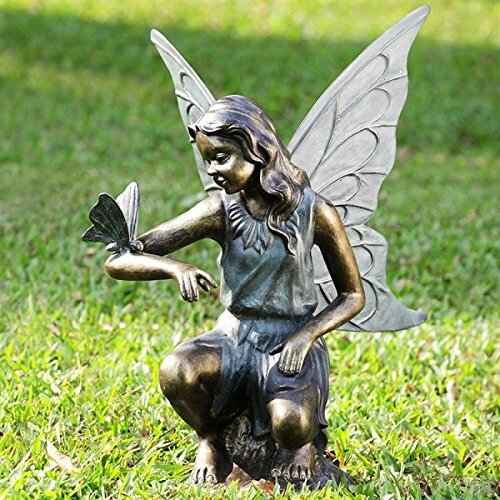 Here you will find the most beautiful and realistic fairy statues and sculptures to sprinkle around your garden and house! I had to create this page just for them because they are amazing! Sprinkle some fairy dust on yourself and let’s fly to the enchanted world of fairies! You need to believe in them! Your cat or dog can definitely see them! Pay attention to them if they seem to be ‘seeing something’ in the air… it might be a playful fairy flying nearby! She has a smile and a very peaceful look on her face and she seems to be enjoying herself! She will look very pretty anywhere you choose to have her! I would try to place her in a very bright spot, where the sun hits… and also among colorful, pretty flowers and plants! 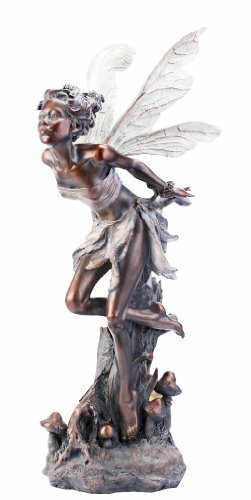 Large Fairy Statue in a Beautiful Bronze Patina Finish! Get ready to see one of the most beautiful outdoor fairy statues ever! 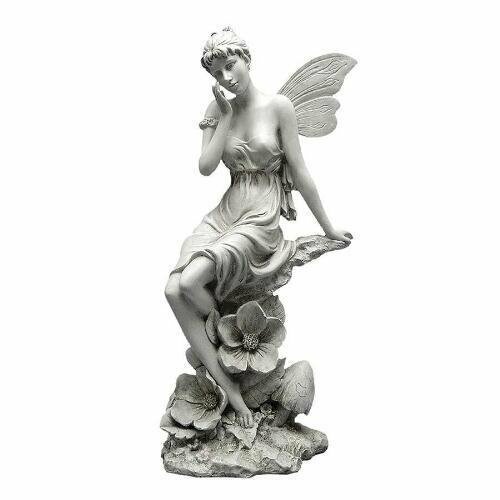 It’s a gorgeous girl fairy outdoor statue for the garden! You gotta have her near some plants, on a sunny spot too! I LOVE, love love her beautiful bronze patina finish! It is a fairy and butterfly metal statue! She is also pretty large, at 25 inches! This is my favorite fairy lamp for sale! 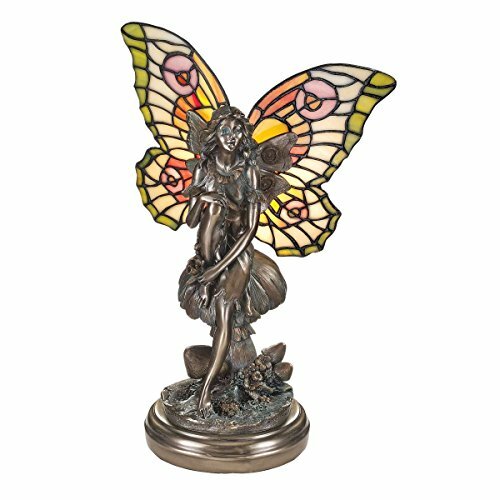 It’s a gorgeous almost 15″ Tiffany style fairy sculpture lamp with colorful stained glass wings! She will give a beautiful and magical fairy glow to your room! This is a very cute and very unique green bird fairy bronze figurine for your collection! Now all you have to do is find a magical place in your garden for her! 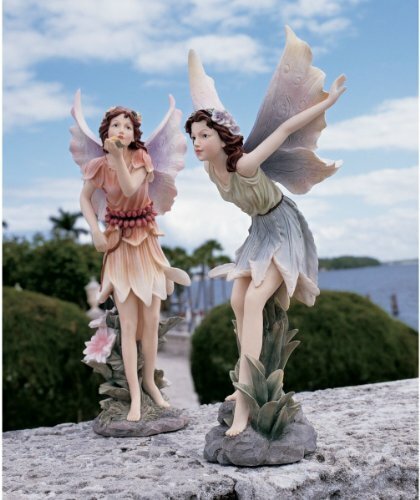 Set of 2 Pretty Fairy Statues! Get them now before they fly away! I love their beautiful ‘fairy dress’! She is fairly tall, at 18 inches. I bet she will make a fairy lover very, very happy! 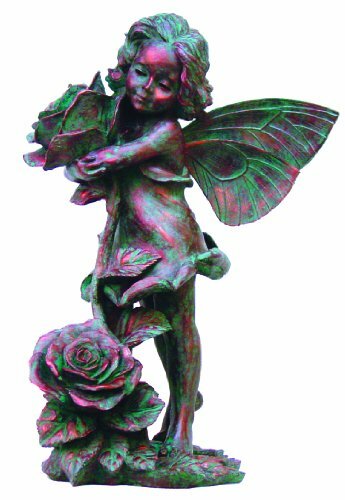 Another Very Cute Fairy Statue for Your Garden! This beautiful fairy will sprinkle her magical dust everywhere and will make your garden an enchanting place to be! 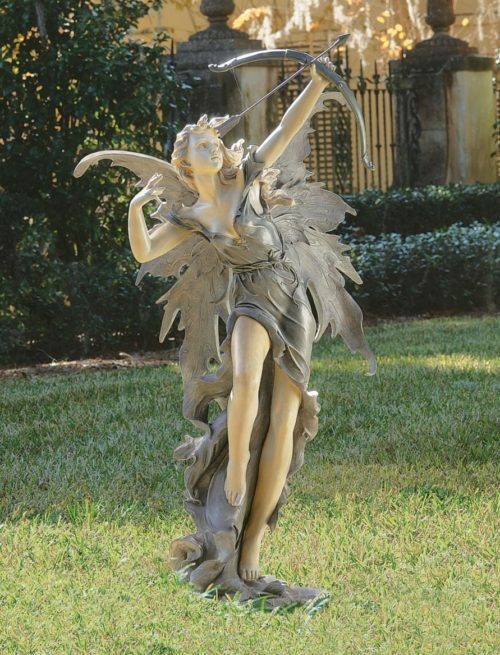 This is another one of my favorite garden fairy statues for sale! Great fairy to have near your plants, maybe even sitting among your flower pots! 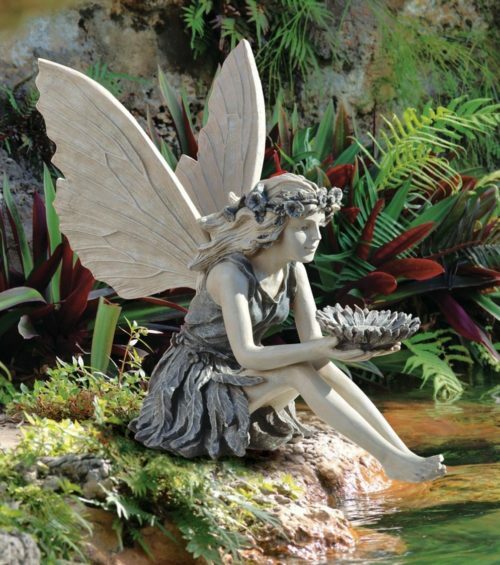 Beautiful Pixie Fairy Garden Statue! I love her gorgeous and very large fairy wings and her beautiful hair full of flowers! Perfect to have next to your pool or pond! 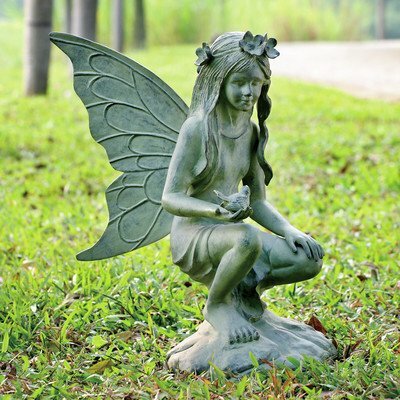 She is definitely one of the most beautiful fairy statues to have in your garden! She will make a wonderful fairy gift idea to any fairy lovers! Everyone loves the kissing fairy! *Some buyers mentioned that there is a little weight imbalance with this statue, but since the bottom is hole, you can put some sand or something else inside to keep it standing still, as one buyer suggested. I think it’s a very creative idea! She is making somewhere windy right now! Just be careful not to break her concentration, ok? 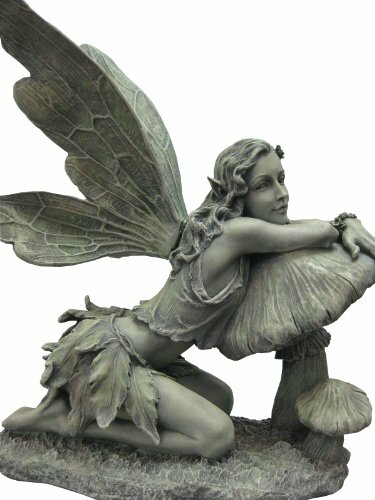 One of the most unique magical fairy statues for the garden! 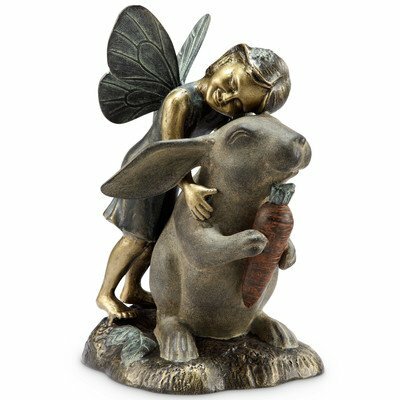 Have you ever seen anything more adorable than this garden fairy hugging a rabbit? I guess he is really enjoying the love! He even stopped eating his carrot! This cute sculpture was made from aluminum and it is 14″ high. You just met the archer fairy in action! She is about to let her magical arrow fly! What a magnificent fairy gift idea! If you also love large garden fairies, this one is for you! She is over 4 feet tall! 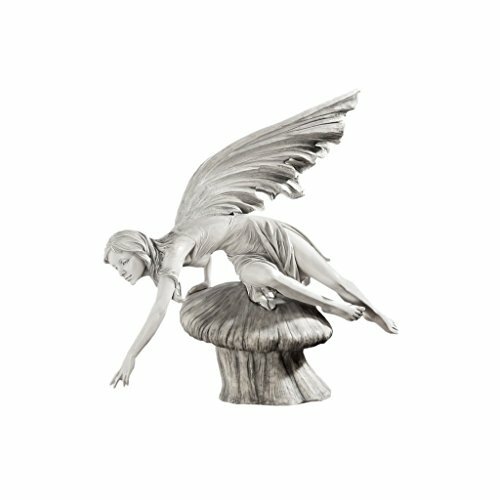 Beautiful fairy on mushroom garden statue for sale! A happy buyer said she is one of the most beautiful beings she has ever seen! *Let’s search for some fairies now!